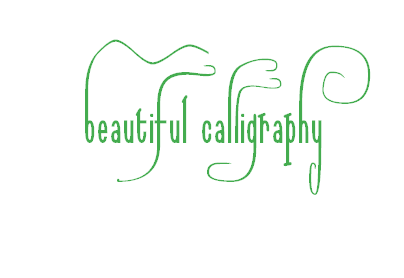 I am hoping to add the graphics and pdf documents that I posted in the Sonnet Calligraphic font thread. The font is experimental. Here is the latest published version, from 2012-12-06 16:07. In 2009 there was the art event One & Other by Antony Gormley. Most of the event took place as presentations by participants upon the fourth plinth in Trafalgar Square, London, England. 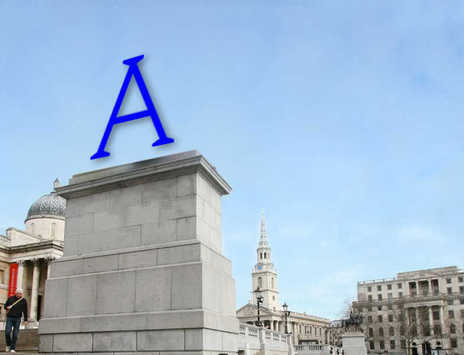 As part of the event there was on the website of the event a facility where anyone could upload a picture of his or her own and it be displayed upon top of a provided image of the fourth plinth. The collection of combined images thus produced was archived on the website and accessible by the public. The image could also be saved to local storage. I produced an image using the capital A glyph from my Great Bear Roman font, producing a transparent background. I uploaded the image to the website and produced the following image. Here is a transcript from a post in the following thread in the High-Logic forum. The date is that of the original post, not the date that the transcript was added in to this webspace. “I saw Jane at the supermarket, in the fruit section: she said ‘Is John still researching?’ and bought a punnet of reddish-orange apricots; then she bought some dates!” said Edith. The above includes eleven punctuation characters.